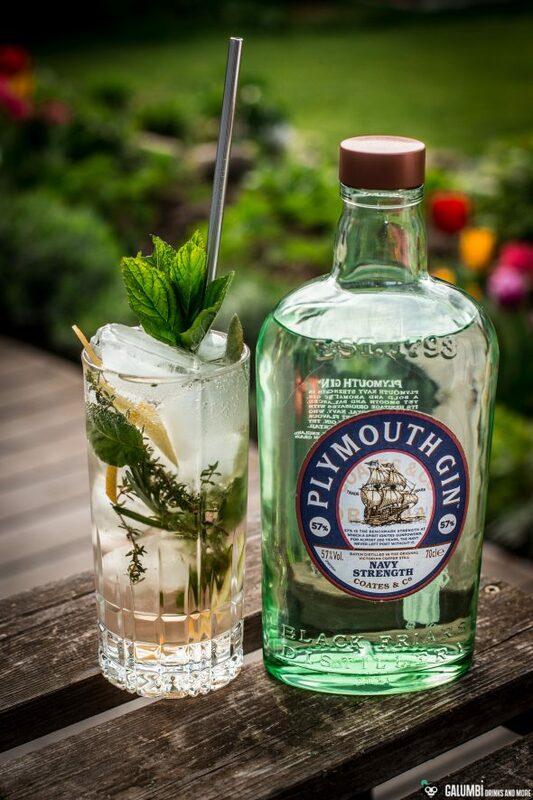 To put it in the first place, Plymouth Gin is in fact a unique and official gin category, which is also recognized as such by the European Union in terms of a protected geographical indication. 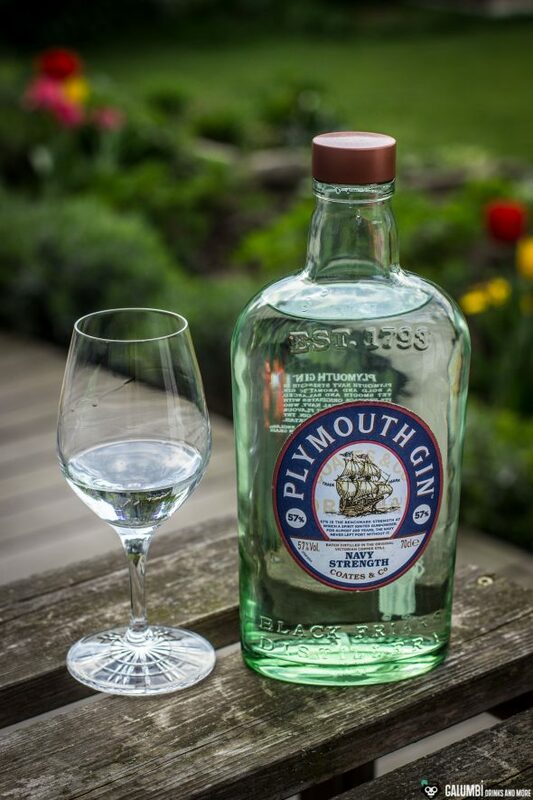 This is not diminished by the fact that today there is only one single Plymouth gin from one single manufacturer. 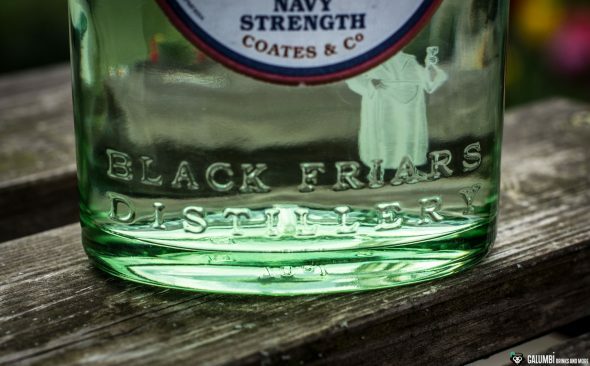 And this manufacturer is the Black Friars Distillery, a former monastery that used to house sailors in earlier days. 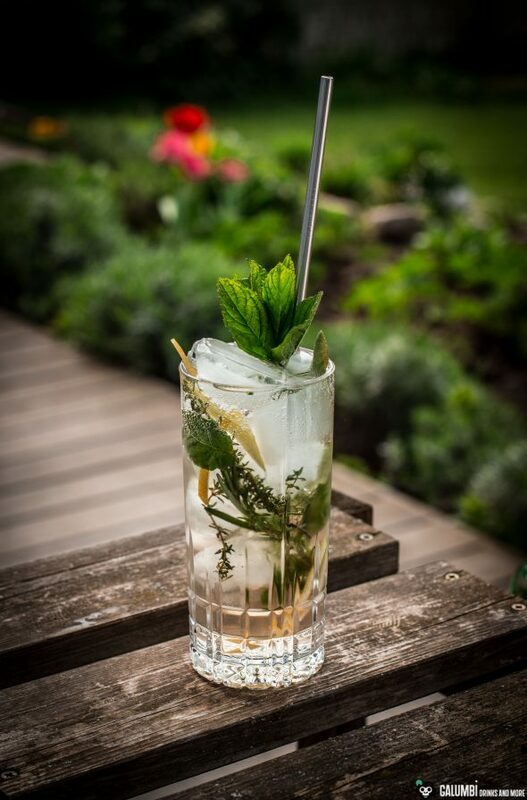 The history of this distillery goes back to the year of 1793 and according to the manufacturer the gin is still produced the same way and with the same recipe as it used to be in that year. On the bottle’s backside you can see a monk shining through. It’s a reminiscence of the distillery’s history. But what is the special character of the Plymouth Gin? Unlike a classic London Dry Gin, a Plymouth gin is not that dry, but spicier and earthier, as my tasting notes below will reveal. 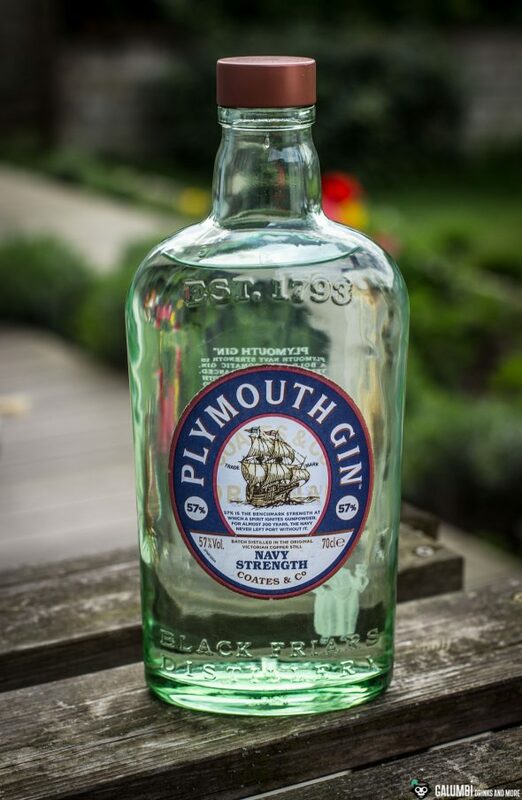 The classic Plymouth Gin is bottled at 41.2% ABV., but since I was mentioning the great seafaring tradition of the city of Plymouth, today it’s about the Plymouth Navy Strength Gin. But what is a Navy Strength again? I guess there is hardly a gin-tasting seminar that passes without the anecdote of the Navy Strength: Since the sailors of the Royal Navy on their journeys covered very long distances, alcohol was known to raise morale and high-percentage alcohol is very economical, the Royal Navy granted their sailors a daily portion of gin during the 19th century. But since combat readiness was the most important thing, it had to be ensured that even if the sailors handled their gin carelessly or even broke a whole cask, the flammability of soaked gunpowder was not impaired. Therefore, the gin in the so-called Navy Strength was introduced with least 57.15% ABV, which therefore also corresponds to 100 British Proof (it “proved” that it is still flammable). Plymouth Gin is based on seven botanicals: juniper, coriander, lemon peel, sweet orange peel, angelica root, orris root and cardamom. 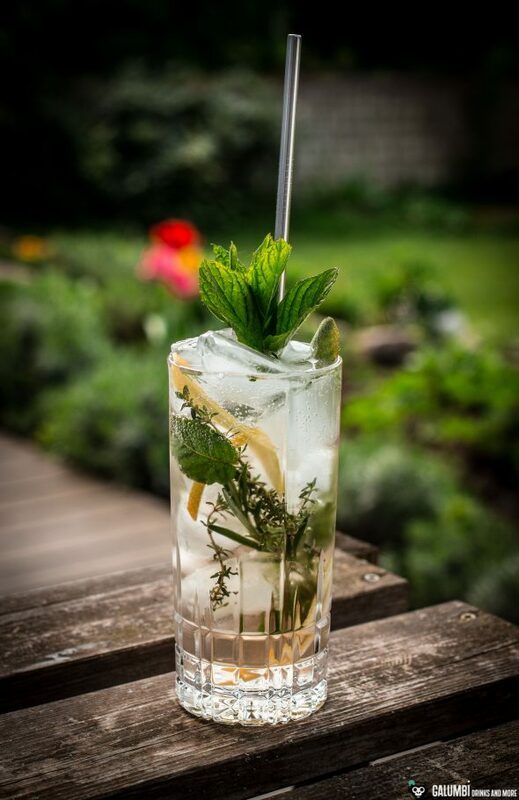 It is made with wheat alcohol and water from the Dartmoor National Park. How is this reflected in a Navy Strength gin? Aroma: on the nose, a clear and earthy note accompanies a rather moderate juniper, which is characteristic for this style of gin. What reminds a little of moist soil, combines with a fresh lemon note and spices. With a few drops of water to reduce the drinking strength, the lemon note is emphasized; also some lavender and camphor come through. Taste: Wow, this gin is really different and I really like it! Even here, the juniper is rather subtle, but does not hide as much as in a typical New Western Dry Gin. The lemon note is very pronounced and combines with earthy, almost mossy associations. 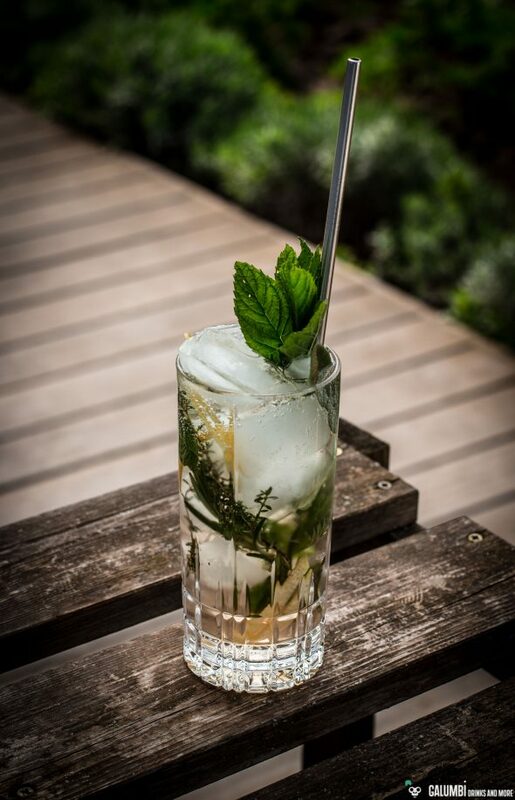 In the background, you will find floral tones and herbs such as coriander and sage. 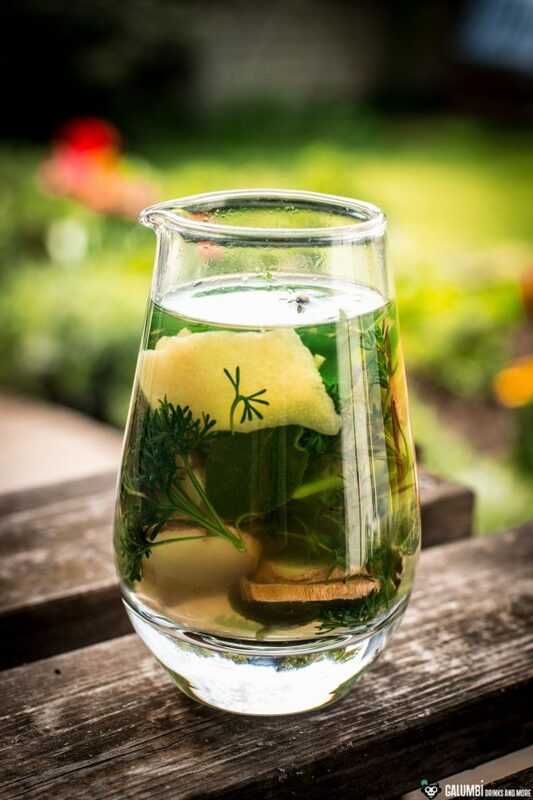 Herbs-and-ginger-syrup: First, prepare an herbal ginger tea in the following way: slice a thumb-sized piece of ginger, take two lemon zests and a handful of herbs (see below) and top it with 200 ml of boiling water and allow to infuse for about 20 minutes. The herbs used are mint, coriander, sage, southernwood (Artemisia abrotanum – omit if you can’t find it), thyme and a little rosemary. Finally, filter out the ginger, zests and herbs and simmer on a low heat in a pan with 200 g of sugar. The sugar should dissolve and the syrup thicken a little. Let cool, done. 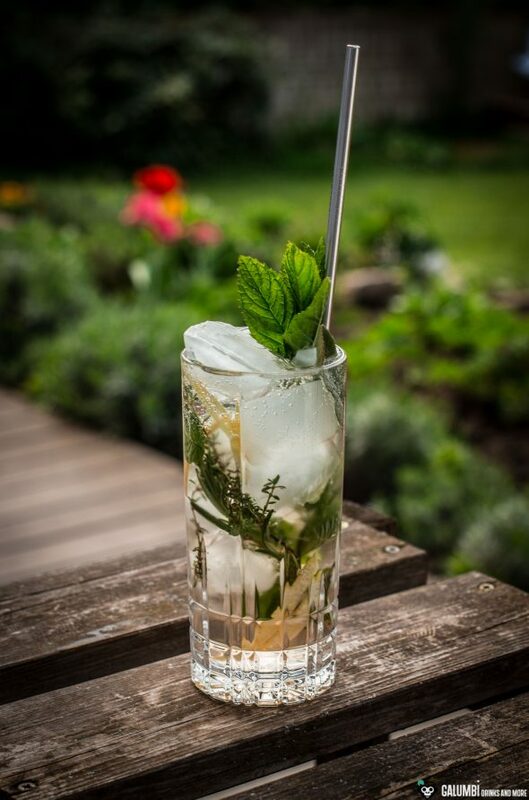 Preparation: Shake all ingredients except the soda water vigorously on ice and place in a glass filled with fresh ice cubes. Top with soda water.